I think this is the third year I have posted tulip photos, and it probably won't be the last. I know it's daft, but this makes me so happy I could cry. The rabbits are eating my tulips down to nothing as they sprout, so I probably won't have any. 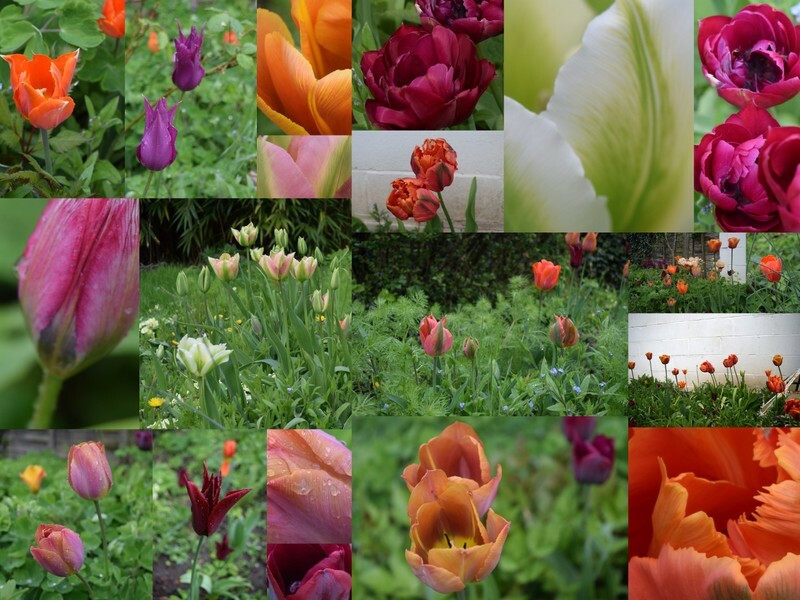 I'm loving your tulip photos! Seeing spring flowers makes all of us feel delighted and a bit daft after the less colorful winter - thank you for sharing these pretties. Spring flowers make me happy too. The tulips are all beautiful. The colors are gorgeous, thanks for sharing your photos. Spring after the long long Winter you have had! Rabbits ate my tulips too, down to nothing. So I loved seeing your pictures. This is my favorite flower and I think I'm giving up trying to rescue my bulbs. It's futile. Not daft at all, tulips are glorious and I think of our English Springs when I was younger and of Mum who loved them so.Thank you for sharing these beautiful photos, the colours are wonderful. So beautiful. Gorgeous colours and I love the close up photos.